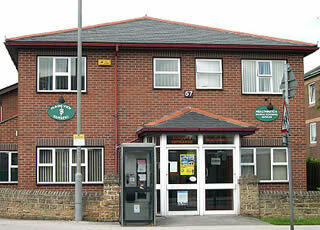 Nottingham Health & Wellbeing Clinic is situated at the rear of Plains View GP Surgery on Plains Road, Mapperley. The owners, Kevin Booth (Physiotherapist) and Linda Booth (Naturopath & Colon Hydrotherapist) have, between them, over 50 years in conventional and complementary healthcare. People come to her through recommendation, and via their GP or Consultant. She is a member of the UK's largest and oldest professional colonic association, The Association of Registered Colonic Hydrotherapists www.colonic-association.org Linda is passionate about creating more awareness and education about the benefits of modern, professional colon hydrotherapy, and dispelling many of the myths, misconceptions and misunderstandings surrounding this gentle yet profoundly effective therapy. To date, she has carried out over 80,000 consultations and treatments. Kevin likes to be known as a 'traditional' physiotherapist. Treatment at the Clinic will consist of remedial massage, spinal manipulation, acupuncture, ultrasound and electrotherapy. He is a member of the Chartered Society of Physiotherapy and is HPC registered. He is also a member of The Acupuncture Association of Chartered Physiotherapists and The Royal Society of Medicine. The Practitioners at Nottingham Health & Wellbeing Clinic are professional, conscientious, and bring a multi-disciplined approach to healing. Patients are treated with integrity, honesty and confidentiality. To contact the Clinic, either phone on 0115 9676699 or complete the Enquiry Form on the Contact Us page. You can also email the Practitioners personally, and you will find their email addresses on the Contact Us page.